There’s always a bit of anticipation and anxiety that comes with the beginning of a new school year. As a teacher, I begin each year wondering how I can step up my game, do a better job of reaching my students, and of course maintain my sanity. This year, I am also contending with a return to the art classroom after a two year absence. 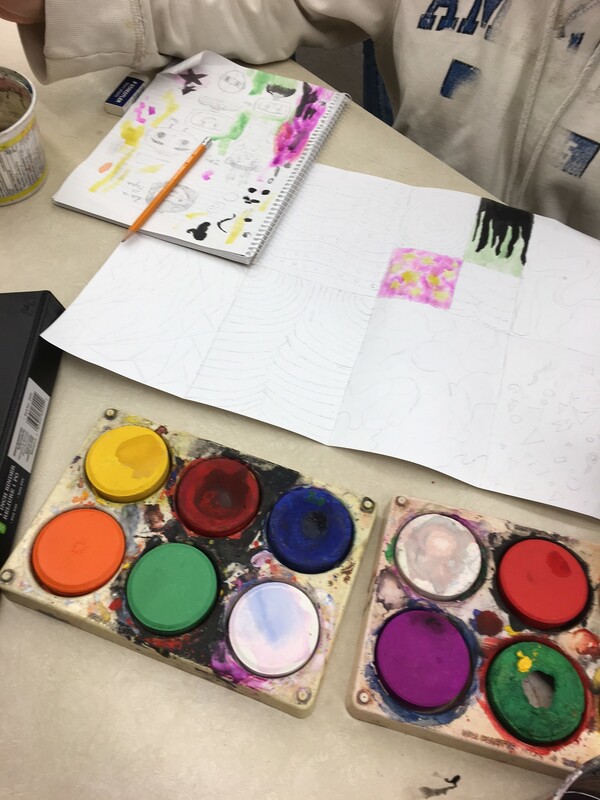 I’m pretty excited to be back teaching art, especially after participating in a Leadership Program with colleagues Colleen Rose and Lindsay Costa. I can put ideas to practice! I decided to jump right into things with my classes this week. 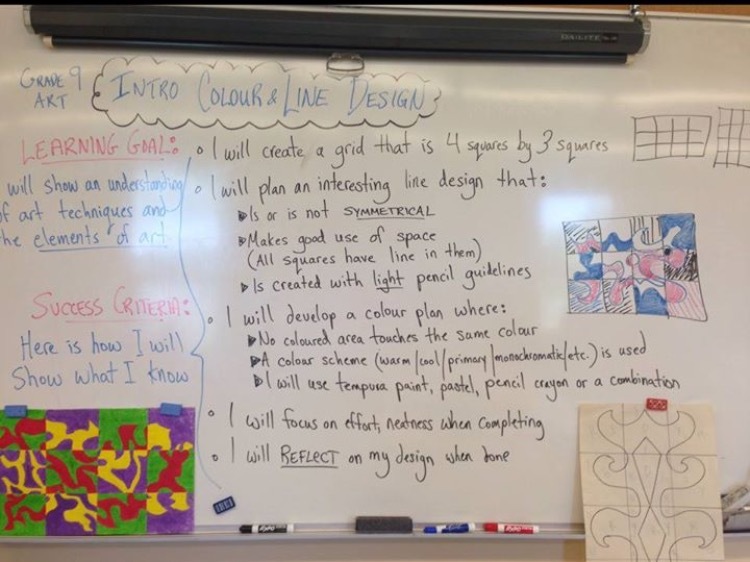 In ALC1O – Grade 9 Visual Art students have been working on an Introductory Design assignment. I really want to applaud the new Grade 9s who jumped right in. The first week is always important for me to gauge work habits, risk-taking, and use of materials. This group is awesome. I’m looking forward to seeing things come together as we finish the activity. We will also be exploring the Elements and Principles of Art. 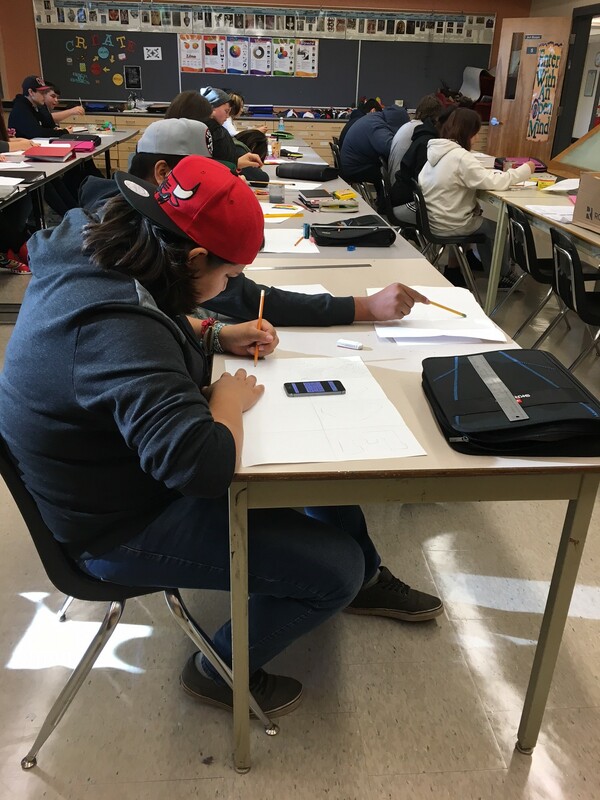 In ENG2D – Grade 10 English, we spent the first few days with some introductory writing assignments. We will continue that this week as well as introduce essay writing. My intention is to ensure that these students are experts in academic writing. Students are also reading To Kill A Mockingbird in advance of our next unit. What is an emotion, character trait, or interest that you feel defines you? What does that LOOK like? How could you communicate your answer in art? Students jumped to brainstorming. Some used lines and colours to represent their idea. Otherwise went with emojis. Still others decided to work on self portraits or outdoor scenes. I’m interested in seeing the creative processes of these students and I’ll be excited to share their final products. Most students are using acrylics on canvas paper for this assignment. 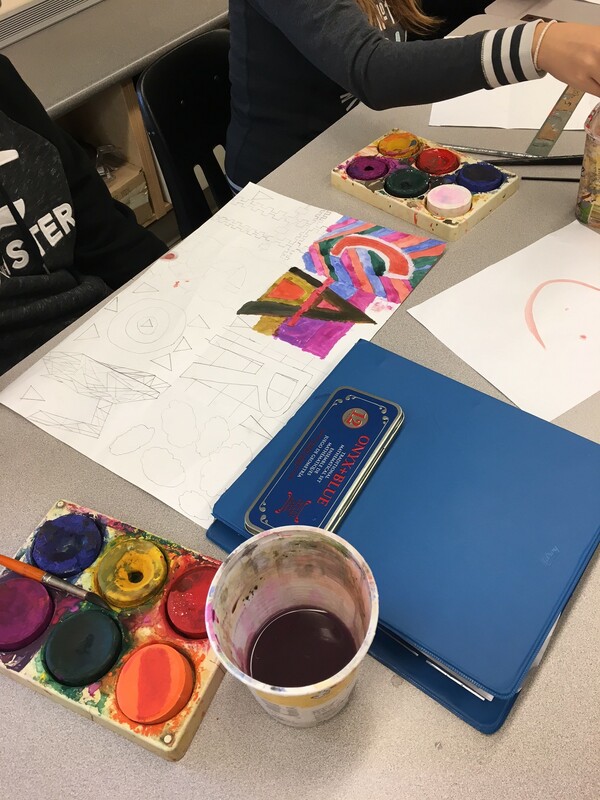 The majority of the class has not been in visual art since the Grade 9 half-credit course so I have unlimited options to help build an appreciation for art with these folks! Week #2 is going to be a great week!